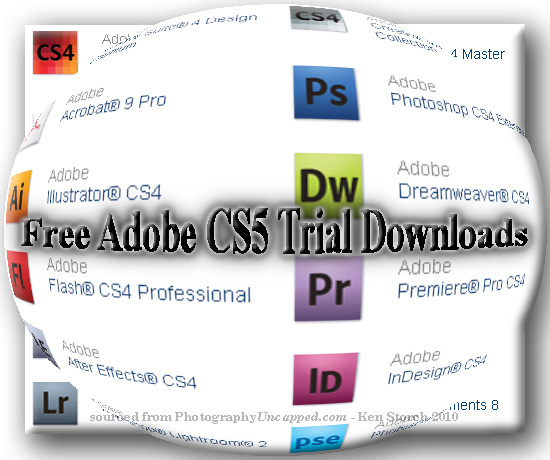 Adobe Photoshop CS5, CS5 Extended, and all the other CS5 apps are now available for download and free trial. The CS5 Master Collection and the Creative Suite 5 packages are all there too. And, Boxed copies are shipping now. Details about the free trial download program, upgrade paths, serial numbers, FAQ’s, dvd costs, technical support for trail versions, 32bit / 64 bit processor questions, converting to full versions, installation and reinstallation, licensing, etc. 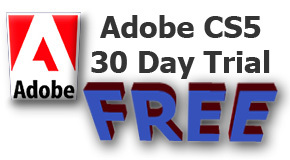 can be found on our Adobe CS5 Free Trial Download FAQ’s page. Also, now listed are Adobe’s Performance Fixes in the 12.0.1 Updater for Macintosh and Windows.